Get certified with ICG Stages – the preferred education of many of the world’s leading health clubs, brands and instructors. ICG Stages is an internationally recognized and accredited Online or one day Live certification that, when passed, will globally certify you to teach indoor cycling. The one day Live certification allows you to attend a full day's certification led by one of our master trainers and offers a group learning environment that delivers greater practical assessment for those who require or prefer this format. 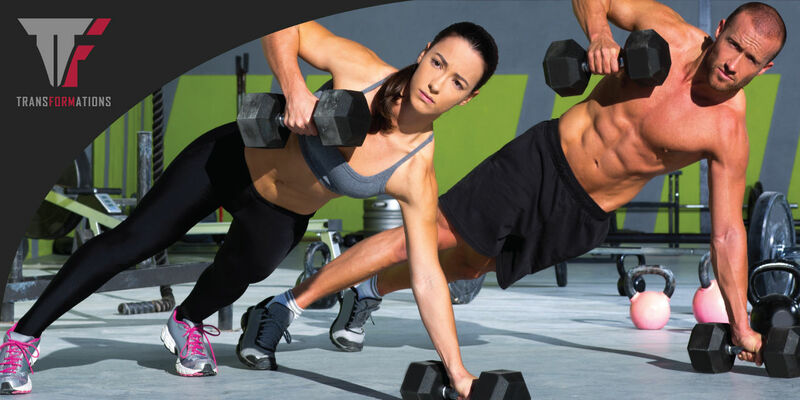 Why CORE X SYSTEM Training? Answers to many common CORE X SYSTEM PowerCert questions may be found in our FAQ's. Have any other questions? Ask us via our support page. Clients will shape lean muscles, tone the entire body, increase coordination, increase speed and agility, overall strength, and lose inches...all while respecting the integrity of posture, individual alignment & form, and functional movement that will complement activities of daily living and sport specific movement. The Transformations PowerCert is geared toward educating and empowering students with the training and understanding on how to successfully instruct and guide clients through the 8 week Transformations program. Students will learn the systems, management, and back end function of the program in order to build a successful business. Transformations is an all-encompassing, sustainable lifestyle, nutrition and exercise program. It’s the first of its kind to include marketing and networking systems, scheduling and payment/payroll templates and detailed direction on sales, on-boarding, retention and management. Our core mission is community and bringing people together to support each other and reach goals! Become an inspiration and motivator for the people in your community. Power Rebounder is a calorie-torching "jump" fusion class that combines low-impact cardio and muscular endurance training with driving musical rhythm for an energetic, total-body workout! Become a Power Rebounder Certified Instructor! The Power Rebounder Instructor Certification course is an online group fitness course which can be completed at your own pace and at times that fit your busy schedule. Power Rebounder utilizes low‐impact springboard mats, known as "Rebounders", which allow participants to experience a high‐intensity class but with low stress to the joints, bones, muscles and heart. Everything included above, but your workshop is in the form of online video. Power Rebounder utilizes low-impact springboard mats, known as "Rebounders", which allow participants to experience a high-intensity class but with low stress to the joints, bones, muscles and heart. Power Rebounder tm es una clase fusionada para la quema calórica basada en el salto, combina entrenamiento de bajo impacto cardiovascular y de Resistencia muscular al ritmo de la música para un total entrenamiento muy energético. Power Rebounder Tm. Fue creada en el 2009 por Marisol Baltazar Nava como una respuesta a un entrenamiento Intervalado de alta intensidad y bajo impacto como lo es Hiit y Tabata. La Certificación de Instructor Power Rebounder es un curso que se efectúa en linea y puede ser completada en el espacio y tiempo que se ajuste a tus necesidades y agenda. Todo incluido anteriormente. Incluye taller como de vídeo en línea. Are you ready to raise the bar on classical barre training? We are proud to introduce to you NAFC's TrueBar® training. TrueBar® Fitness incorporates gliders, a Bender Ball, and TrueBar stations to create fantastic functional fitness for students of all levels. Become a TrueBar Certified Instructor! Developed by TrueBar® Fitness and NAFC, the TrueBar® course is a science-based, unique approach to classical barre training. Through TrueBar® training, you’ll be able to teach participants how to execute functional movements, utilizing the specially-designed TrueBar® stations. Using the TrueBar® station, participants will have all the necessary equipment in a compact space, so crowding is never a problem. Instructors who already teach barre can expect greater versatility in programming upon completion of this course. TrueBar® is also ideal for any instructor who desires to increase their understanding of mindful, functional movement. Based on scientific research conducted at the Gray Institute, the TrueBar® method applies conscious movements offering beneficial, subconscious results. This includes examining the physiology, gravitational biology, and behavioral needs of individuals. Students can also expect an overview of kinetic chain movements, fascia, and how fascia affects analysis of a client's posture and movement. Get ready to take barre fitness to the next level. Go deeper in your understanding of movement, and improve your clients' results when you get certified to teach NAFC's TrueBar®. A Group Fitness, Personal Training, or Pilates Certification is required in order to complete the TrueBar PowerCert. The TrueBar® Station was created by a fitness studio owner who saw the need to improve transition time between modalities while also freeing up valuable floor space and preventing overcrowding, The TrueBar® Stations are revolutionizing the standard group fitness format. The TrueBar® Stations provide a unique method of organization, personal space, and specialized programming that is coveted by both club members and instructors alike. NoBarreRequired is a fun, energetic full body barefoot workout that fuses Pilates concepts with Ballet Barre exercises to challenge your balance and stability, increase your flexibility and strength - all with no barre required. Become a NoBarreRequired Certified Instructor! The NoBarreRequired Instructor Certification course can be completed online, which will give instructors the tools to successfully teach and guide your clients through the defined "blocks" of standing and floor exercises. The online course only requires a pre-req of either a Pilates Mat Certification or Barre Certification. A live workshop option does not have a pre-req. Everything included above, but your examination is in the form of an online assessment with a live evaluator.